Esprit Yachting is the official and authorised service point for Azimut Yachts, NAutors' swan and Williams Performance Tenders. Pierre has been involved in the marine industry since 1990 with the setting up of Strand Marine as importers of yachts, yachting equipment and accessories. His involvement was further expanded with the setting up, in 2006, of Esprit Yachting who are the exclusive representatives of Azimut|Benetti Yachts and Williams tenders. Born in 1958, and an engineer by profession, he ensures that his business offers the best possible customer care support. Today Niki is the Managing Director of Esprit Yachting and runs a fully-fledged yacht support company offering Yacht Sales, Management, Charter and Maltese Flag yacht ownership structures. More recently Niki has been project lead for the Marina di Valletta - a state of the art, 250+ berth yacht marina which started operating at the start of the 2017 season. Niki is an external consultant for product development at Azimut Yachts and a Board member of the Yachting Services section at the Malta Chamber of Commerce and Industry. Matthew is responsible for the day-to-day administrative operations of the company and is key to the management and finance operation of both Esprit Yachting and Strand Marine. Matthew is also a keen yacht enthusiast. Christopher is presently working as Service Manager and has over thirty five years of experience in the Maritime industry having worked both on pleasure boats and commercial vessels. Christopher has also built a wealth of experience in Maritime Management. Sammy has been working with the team since 2010 and is in charge of the Service offering relate to Williams Jet Tenders as well as undertaking electrical and mechanical repairs as well as overhauling of Webber engines. In his free time Sammy enjoys restoring classic cars. Luke joined to team to bring with him over nine years of experience working in various roles in a number of marinas. Over the last few years he has gained further experience in the marina operations with a strong focus on providing excellent customer service. Luke has a Yacht Master qualification and has recorded over 6000 sea miles recorded. Boating is Luke’s passion so he keeps spending more time in a marine environment. Maria is responsible for the Marketing and Public Relations. Maria has built significant experience through working with well established and reputable organisations in a number of sectors - telecommunications, aviation, non-profit organisations, sports management and financial services to mention a few. Though having a busy schedule, Maria is a keen triathlete and equestrienne with show jumping being her favourite discipline. For a few years Peter coached Malta's National Sailing Team. In the year 2001, Peter obtained International Judge status, a position he currently holds. Through this and to date he officiated at around 250 events in 28 Nations, three of which were the prestigious Olympic Games. Peter's involvement in the Olympic Games consisted of coaching at the 2000 Games in Sydney, volunteering in the International Technical Officers' department in Athens in 2004 and more recently formed part of the International Jury at the 2012 London Paralympic Games. In 2013, Peter was honoured with the Midalja ghall-Qadi tar-Repubblika (Medla for Service to the Republic) in recognition of his contribution towards the development of sailing in Malta. Alexandra has been in the yachting industry for the past ten years working actively in different roles and gaining substantial experience in the process. Alexandra currently takes care of charters and the organisation of the various events the company hosts throughout the year. Alexandra also acts as Personal Assistant to the Director. With a great passion for the industry, Alexandra looks forward to further strengthening her experience as well as contributing further in the field. Esprit Yachting was created in 2007 to provide bespoke services within the niche sector of yacht sales. Esprit Yachting has built a strong reputation for unprecedented after sales service and product support for Azimut and Atlantis yachts and Williams Performance Tenders. A boutique agency in Malta, a familiar face, ready to assist you. We provide expertise in yachting in Malta. Whether you're a captain looking for a reliable agent ahead of your visit to the Maltese Islands or an owner looking into reducing expenditure or into registering your yacht on the Maltese Flag Register or a shipyard looking to support warranty work aboard a yacht in transit. We’re here to assist and to help you amplify your possibilities and opportunities. Starting its operations in 1990 as a boat importing company. Following the initial success, Strand Marine also branched out into the automotive market, focusing mainly on batteries and lubricants. Strand Marine also imports a wide range of marine and automotive spare parts, ancillary boat equipment. In 2005 Strand Marine opened a new 600 square meter state of the art complex comprising of Showroom, repair centre, workshop and sales & administration offices. The recently launched Williams Sales & Service Centre, further cements the Brands’ status as being on the forefront in the industry. Since inception Strand Marine has become the local distributor of renowned and reputable brands such as Humber, Mastervolt, Nuova Jolly, Ocean Master, Suzuki, Varta, and Wolf, just to mention a few. The company name details exactly what the company is designed to do. 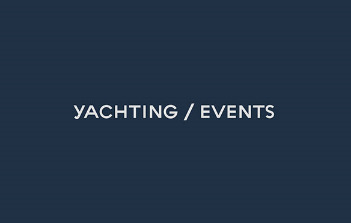 Yachting Events’ mission is to organise sailing and yachting events in the cleanest waters and in the wind factory of the Mediterranean, attracting events and races to Malta, different to the ones already known to us and hosting sailors that we usually see on magazines or posters. Its first foray was the hugely successful 2015 RC44 Valletta Cup. The second edition of the RC44 Valletta Cup returned to Malta in November 2016, followed immediately by the Yacht Racing Forum. The RC44 Valletta Cup is expected to return to Maltese waters in November 2018. Marina di Valletta is Malta's premier yachting destination and offers safe all-year round Berthing for 250+ Yachts. Marina di Valletta is the result of a consortium formed between Marina di Varazze S.r.l, the marina development division of Azimut|Benetti Group. With luxury touches installed throughout, the Marina boasts a travertine walkway and durable and attractive paver flooring in the parking area shall be accentuated by a well-studied ambient lighting.